Note: quotations (including spelling and grammar) unless otherwise noted are from the Ohio Company of Associates' documents, primarily minutes of Directors' meetings. Marietta, Ohio was the first settlement (1788) in the first United States territorial expansion (Northwest Territory, 1787) beyond the original thirteen states. It was a gateway to western expansion of our nation. You knew that, right? It is easy to overlook that this complex and risky project was undertaken by private enterprise. The Ohio Company of Associates ("Ohio Company") was a group of investors who put up their own money. They purchased 1.5 Million acres from the Continental Congress in what is now southeast Ohio - worlds away from their native New England. The land purchase was negotiated in a weekend by the affable and shrewd Manasseh Cutler. But that's a story for later. Many early land development companies were focused mostly on profits for wealthy investors. 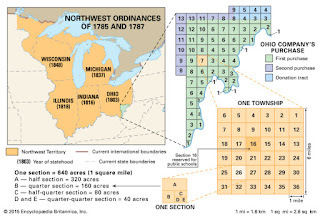 For example, the Connecticut Land Company was formed in 1795 to generate profits to investors from land sales in the Connecticut Reserve lands in what is now northeast Ohio. Investors included 57 of the wealthiest and most prominent men in Connecticut. Speculation with borrowed money, fraudulent claims, and inept management were common with many land companies. One shameful example was the Scioto Company which sold land it did not own to French settlers in 1790. Purchasers of land and others, including the Ohio Company, suffered losses. The Yazoo Land Scandal in Georgia involved outright fraud in a massive land sale to politicians at preferential rates. There was a public outcry and years of legal proceedings. The Federal government eventually settled claims of purchasers. The Ohio Company was indeed a developer with heart. It was founded on ethical principles with genuine concern for the well being of investors, war veterans, employees, and residents. It also went far beyond selling land and actively helped manage the settlements it began. President Franklin Roosevelt nailed it in his 1938 Marietta speech when he praised the Ohio Company as ..."an organized society, unafraid to meet temporary adventure, but serious in seeking permanent security for its (settlers)." The benevolent concept was evident in the original newspaper advertisement about formation of the Ohio Company on January 25, 1786, titled "Information." Essentially, it invited everyone, including "...All Officers and Soldiers who have served in the (Revolutionary) War....and also all other good Citizens who wish to become adventurers in (the Ohio Country)." 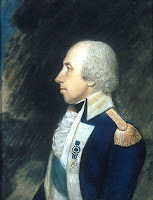 Rufus Putnam was Superintendent of the Ohio Company. He had an impressive background: self educated, apprenticed as a millwright, served in the French and Indian War (nearly died when his unit became lost), became a surveyor, was an engineer in the Revolutionary War. Putnam was an effective leader who started the Ohio Company and established the settlement at Marietta. He later served as Surveyor General of the United States, Judge of the Territorial Court, and a trustee of Ohio University. The Articles of Agreement of the Ohio Company provides further indication of its nature. Concentrations of ownership were to be avoided. No person could own more than five shares of the company. The minimum share ownership was one, though a share could be owned by more than one person. Agents were appointed to represent individual subscribers. Each agent "shall make himself accountable to each subscriber for certificates and monies..."
Land parcels received by each subscriber would be drawn by lot to prevent any one person from gaining an advantage over others. Subscribers could be represented at meetings by proxy - for those who could not be physically present. A portion of money raised from subscribers was earmarked for "assisting those who may otherwise be unable to remove themselves thither..."
The minutes of Ohio Company proceedings refer to many other actions to encourage participation and assure fair treatment of all. Continental currency specie certificates could be applied at full value for the purchase of shares. This was a major benefit since the currency had an open market value far less than the face amount. Army bounty rights (land awarded for service in the Revolutionary War) were allowed as partial payment for shares in the Ohio Company at the rate of one dollar to every acre of land in their entitlement. For example, a 200 acre warrant would be counted as $200 towards the purchase of a $1,000 share. Departure of Ohio Company pioneers bound for Ohio from Manasseh Cutler's parsonage at Ipswich MA on December 3, 1787. Cutler had the wagon prepared and the lettering placed on the side. When the party reached Sumrill's Ferry, PA, the wagon was dismantled and boats were built for floating the party down the Ohio River to Marietta. On July 2, 1788, a Board of Police was established "for the regulation of the settlement." "For the safty and well being of the people constituting this settlement," lots were laid out to make the settlement more compact (and therefore more secure). In September 1790 Indian hostilities became more likely. The Ohio Company employed 30 "guards": "Resolved unanimously, that in the current defenceless State of the settlements, It is Expedient that at least 30 men be engaged for guards...". In January, 1791, after the massacre at Big Bottom, the Ohio Company Directors took further aggressive steps to beef up defenses. They requested 60+ militia soldiers for garrisoning Marietta, Wolf Creek, and Belpre settlements, with pay and rations to be the same as federal troops. They also addressed an impassioned and angry plea for federal military help to the Territorial Court. They asked the Court to present their plea through the Territorial Governor to the President of the United States. The Ohio Company expected reimbursement for the militia expenses from the Territory or federal treasury. No help was ever forthcoming, placing a strain on Company finances. The Ohio Company minutes of July 21, 1788 expressed urgency of completing two priority tasks: surveying of lots and building the stockade blockhouses at Campus Martius (see image below). In September 1788 there were further orders to acquire materials for Campus Martius blockhouses and completion of a road and bridge to Campus Martius. Surveyors, carpenters, and other workmen were to be employed as needed. They were paid a wage and received a ration per day. A ration consisted of "1 1/2 lb of bread or flour, 1 lb. or pork or beef, venison, or meat equivalent, 1 gill of whiskey, Vegetables when to be procured." A gill of whiskey was about 4 ounces. It might be diluted well below today's 86 or whatever proof, but it would "keep spirits up," so to speak. Imagine a job today that provided that kind of benefit. Campus Martius (Latin name given by the Ohio Company meaning "Field of Mars," perhaps named for a sector in ancient Rome or invoking reference to Mars, Roman god of war). It was a fortified residential community. Image from ohiohistory.org. Surveyors were required to take an oath of honesty and to submit full reports for safekeeping and later reference. Authority was granted to make adjustments for those owners whose land awarded by lot was of poor quality. Books of the Ohio Company were to be open to Directors and Agents representing owners. July 31, 1790, the Directors took steps to help those who were sick or in need of help: "It appearing that Several Persons in the City are Sick & in absolute need of Relief.... that Griffin Greene esquire shall be appointed to make inquiry, and advance such Sums as are needed for their Relief and recovery...."
A "Justice Lord" (probably Thomas Lord who trained in ministry at Yale University) was referred to as "Overseer of the Poor" for Marietta. He was authorized in September of 1791 to provide assistance to a Grisham Flagg. The Directors paid the expenses of a workman injured in a fall while building a blockhouse. 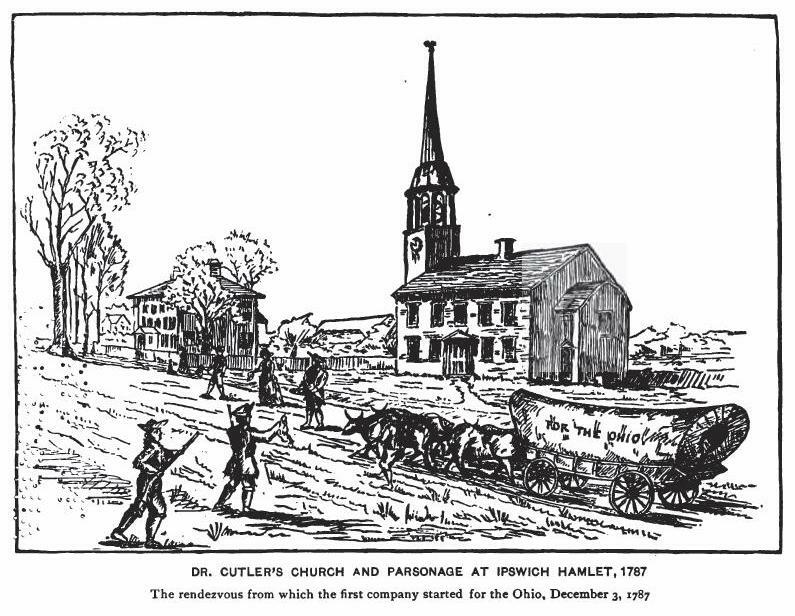 Even before the settlement was started, Ohio Company Directors expressed concern about the "Education of Youth and the Promotion of public Worship among the first Settlers..." The Rev. Daniel Story was employed as a preacher and arrived from Massachusetts in the spring of 1789. He held regular religious services in Marietta and surrounding settlements. During periods of Indian unrest, he was accompanied by armed guards. The militia attended church, too. The men were mustered every Sunday at 10 am. A roll was called and arms inspected. They then marched with fife and drum to the religious service. It was a pretty impressive way to start a church service. There was no mention of the troops' reaction to being rousted out and made to attend church every Sunday. School was taught in Campus Martius and The Point in Marietta and also at The Castle in Belpre. The Ohio Company provided the space, typically in one of the blockhouses. Funding was mostly provided by donations. "Public Squares" were designated to preserve the Indian Mounds ("Ancient works"). A committee was appointed on March 2, 1789, to "point out the Mode of improvement for Ornament and in what manner the Ancient works shall be preserved." Nearly two years later (yes, even then it took a while to get things done), a very detailed plan beautification and protection was adopted. There was a plan for each square which included planting of elm, mulberry, honey locust, and evergreen trees in a specific arrangement; planting of grass; and "a good Post and rail fence." The Ohio Company donated ground for a blacksmith shop, brickyard, tannery, wharf, grist mill, pottery, and brewery. Other similar provisions were made to encourage needed services for the new settlement. 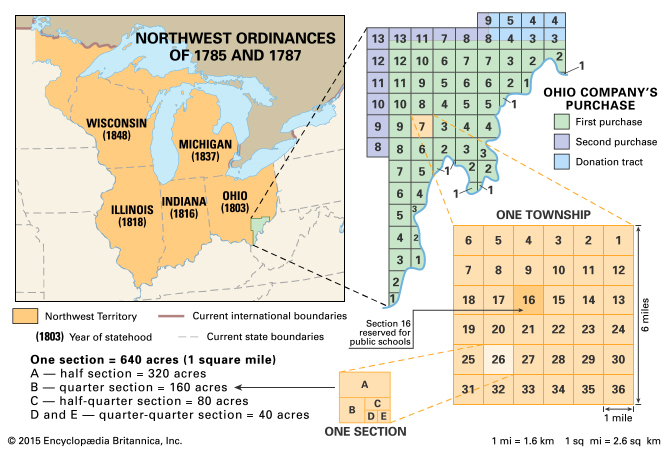 The Ohio Company awarded Seneca Chief Cornplanter one square mile of land. This was in gratitude for his assistance with treaty negotiations. The Ohio Company noted his "great service to the United States - And the Friendship he has manifested to the...Ohio Company." He never occupied the land granted to him. There was much more that the Ohio Company did to help its stakeholders. Archer Butler Hulbert, Professor of American History at Marietta College, edited The Records of the Original Proceedings of the Ohio Company. He captured the essence of The Ohio Company's role: "The relationship of the Ohio Company of Associates to the first men and women of Ohio was uniquely unselfish and thoroughly American. No land Company in America can match its record as a public servant in laying the foundation of an American State." Hulbert, Archer Butler, Editor, Marietta College Historical Collections, Vol 1, The Records of the Original Proceedings of the Ohio Company, Volumes I and II, Marietta, Ohio, Marietta Historical Commission, 1917.